What. A. Weekend. WOW! 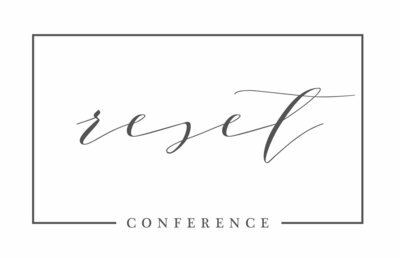 The 2019 Reset Conference was definitely the best one yet!! 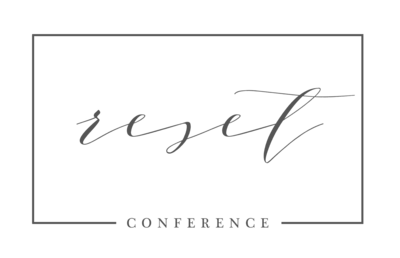 We are still reeling from all the amazing speakers, breakout sessions, shootouts, community, and the epic Great Gatsby gala!! Friday was a day full of shootouts for many attendees who chose to add those on. We are so many amazing images from the people who attended these and hearing nothing but compliments for the leaders of those shoots. Reset 2019 hosted shootouts ranging from families to couples to maternity to newborn to wedding. Some speakers also hosted 1-on-1 mentoring sessions and those topics included things like Instagram, adding to your team, video marketing, time management, systems, marketing, web design, and off-camera lighting. Saturday morning we were up and at ’em first thing in the morning with registration and the opening ceremony kicked off by co-founders Kellie & Rebekah. Then first keynote of the day was Elena Blair. She encouraged us to pick up our cameras for US. Every. Single Time. Then it was our first round of breakout sessions before the open lunch break. The vendor expo opened in the afternoon, with so many great business showcasing their products and services. Early afternoon brought the next keynote speaker Sean Warren. Sean told some heart-wrenching stories and left few dry eyes in the house. Then it was back to another breakout session to round out the day. New for 2019: Gala event! There were a couple of hours of open time between the last session of the day and the Great Gatsby Gala! We know there was a lot to process from the first day, so it was nice to have some time to breathe and reflect before the next thing. We LOVE how everyone totally got into the Great Gatsby theme and dressed to the nines!! We saw all kind of sequined flapper dresses, headpieces, and accessories. Dinner was delicious, and DJ Ryan kept everyone dancing all night! We heard from so many people that the gala was definitely a welcome addition to the conference. It gave us a chance to cut loose and get to know fellow attendees better. Sunday morning opened with optional worship in the main ballroom, where Sean Warren spoke again. Then it was into the final keynote of the conference by Hope Taylor, who talked about branding and client relationships. She told us that clients will come for our products, but they will stay for our hearts. She encouraged us to personalize our client experience and set ourselves apart from our competition. Then the remainder of the day was filled with more breakout sessions, the vendor expo again, and finally closing ceremonies with lots of great door prizes! The location of next year’s conference was also announced — Lexington, KY!!! For more information about joining us in 2010, connect with us HERE. Thank you so much to everyone who attended Reset 2019!! We are so excited to explore Kentucky more with you all!